Arrive at Visakhapatnam Airport and get transferred to the hotel. 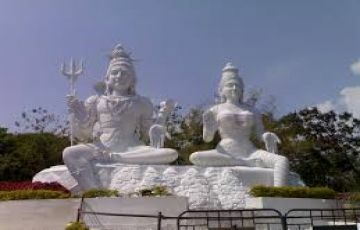 After taking some rest, visit Ramanaidu Film studio, Eradda Beach, Bimli Beach, Budha sculptures. Overnight stay at Visakhapatnam hotel. After having a hearty breakfast, proceed to Araku valley, the place packed with scenic beauty and exhibits the jewels of nature. Visit Borra caves at Araku that reflects various colours in natural cave formations, Padmachandra Gardens, and Tea plantations. Overnight stay at Araku resorts. Today, post breakfast, proceed to the return trip to Visakhapatnam. En route, visit Simhachalam and Naval Museum. In the evening, spend some leisure time at RK Beach. Overnight stay at Visakhapatnam Hotel. This day marks the culmination of the trip to Vizag. Post breakfast, check-out from the hotel and pay a visit to the temple of Kanakamaha Laxmi. Before leaving, explore the local market for shopping. In the evening, get transferred to the airport for the onward journey. Book your package with 25% of amount.for more details contact us.